Spiritual management is something that Technalink takes a lot of pride in, both as a practice we carry out in our day-to-day work, and as a professional philosophy we feel benefits everyone in the business world. 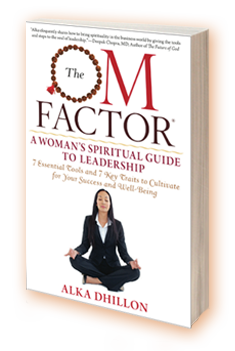 But spiritual management is actually the sum of many different characteristics and disciplines we feel people should cultivate. Patience is one of those things. But why? 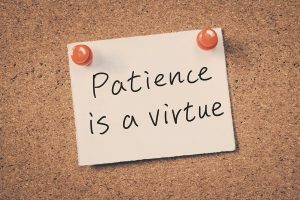 There’s the old saying “Patience is a virtue,” and while everyone accepts it, few people really stop to think about the value that patience brings to many aspects of our lives, especially business. The reason that practices like meditation and mindfulness are important is because they slow things down, and bring us to a place where we can act with greater patience. This is important because business is a “long game.” There are no Fortune 500 companies that reached the level of success they currently enjoy in their first week—or even their first year—of operation. Growing a business requires taking the time to add the right people to the company. It means a willingness to grow the company year by year, with a new customer or client here, an expansion of services there. All of this takes time. If you can’t cultivate the patience to accept that growth of a business operates slowly, then your frustration at the apparent “lack of results” may cause you to quit. But if you understand that businesses take time to grow, and you are willing to invest in that time, not cut corners, and make your decisions based on the idea that you are looking at long term benefits and investments, you stand a much better chance at making your business succeed. And remember, spiritual management techniques like patience don’t just benefit you at the workplace, their critical for a happy home, too!